When I was a young "dream girl" (dreaming that I was a girl), a "perfect size 12" was the ideal size for a woman to be. Back then, size 12 was a 35-inch bust, 26-inch waist and 36-inch hip (35-26-36). 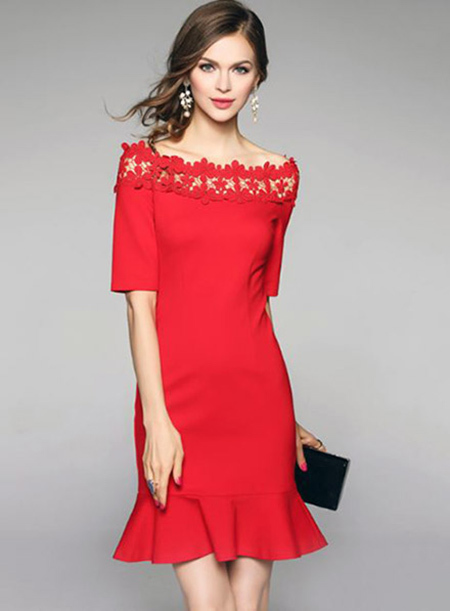 No matter how much weight I might diet away, there was no way I could ever achieve a circa-1965 size 12. The size of my skeleton wouldn't permit it. So instead of being a perfect size 12, I am a less than perfect size 14. But considering I used to be a size 20, I am a happy size 14 dream girl! 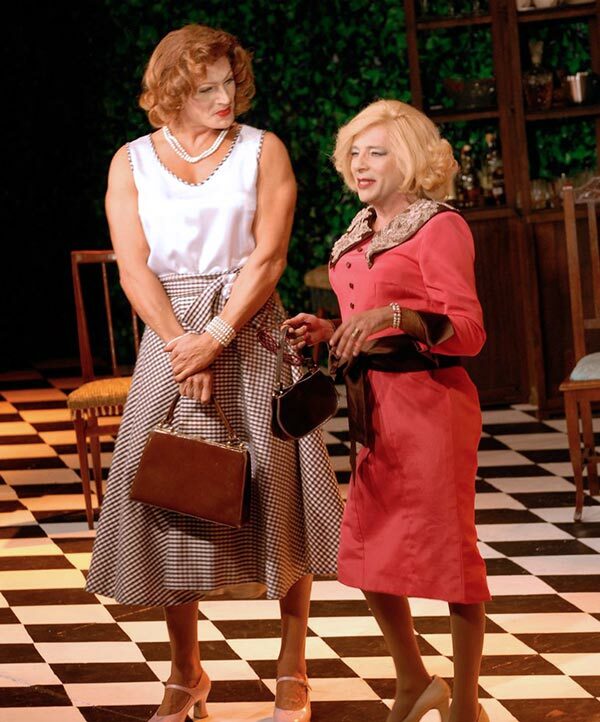 Diego Ramos and Fabian Vena in the Argentinian stage production of Casa Valentina. 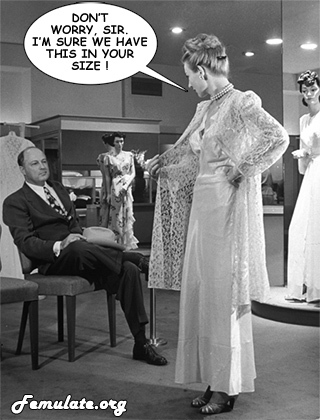 Vanity sizing does make it hard to buy vintage clothing, without trying on first. I am very thankful that I can fit into most size 12 clothes. On rare occasions, even a 10 is possible for skirts and pants. Maintaining our girlish figures is a tough job but we love the results!